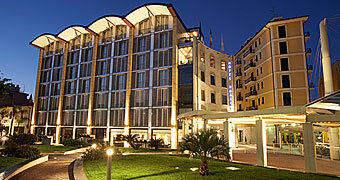 Hotels Liguria - Book your hotel in Italy online! 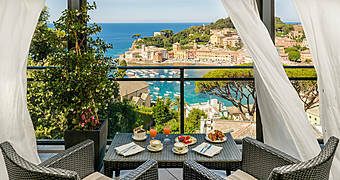 One thing's certain: you'll never forget the view from your room at Sestri Levante's Hotel Vis à Vis! 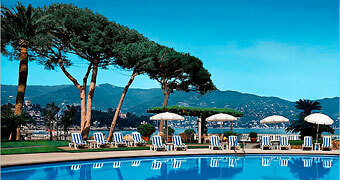 The crystal clear sea, sun drenched beaches, and historic charm of the Italian Riviera. 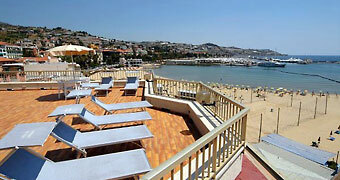 Your dream holiday at Hotel Miramare, Sestri Levante. Independent apartments with services of a hotel for a fun-in-the-sun holiday within steps of the sea and the beach of Sanremo. Only minutes away from Levanto and Cinque Terre, Chiesanovas La Sosta di Ottone III captures the very essence of Liguria. 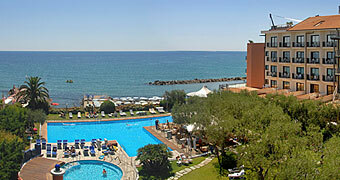 Elegant rooms, fabulous food, gorgeous pools, a beautiful beach and, everywhere you look, the shimmering Ligurian sea? It's got to be Grand Hotel Diana Majestic! Those in search of the epitome of luxury on the Italian Riviera need look no further than the Grand Hotel Diana Majestic's magnificent Superior Suite 501. 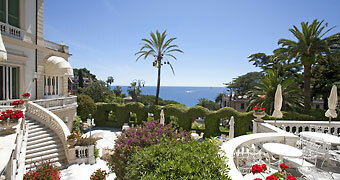 A historic establishment dating back to the Belle Époque, the Imperiale Palace, facing the bay of Portofino, is still one of Liguria's finest hotels. 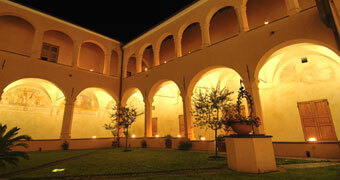 A scattered hotel, an eco-relais with pool and the magic of an ancient village in Liguria. The sparkling sea, the bobbing fishing boats, the colors of the Baia del Silenzio. 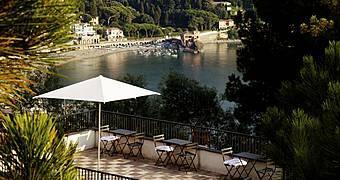 The Liguria you've been dreaming of, from the terrace of Hotel Helvetia, in Sestri Levante. 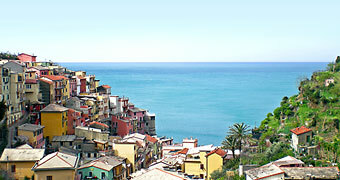 In the heart of Manarola, La Torretta offers faultless hospitality and the timeless appeal of the Cinque Terre. 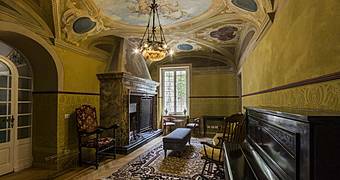 You've decided to go to Genoa and you're now looking for a B&B in which to experience the best of this old seafaring city. Well, you can stop looking, because we've found it! 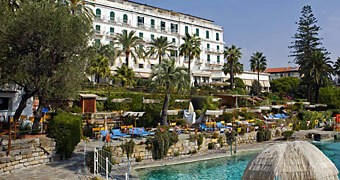 Liguria's iconic Royal Hotel Sanremo is an exclusive 5 star luxury resort, set in gorgeous gardens and with breathtaking views of the sea. 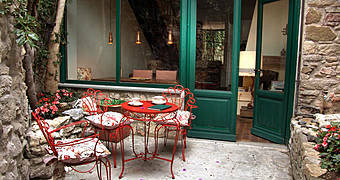 Planning a gourmet getaway on the Italian Riviera? 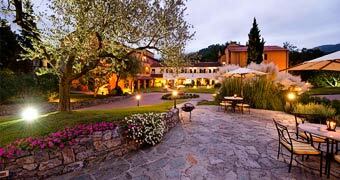 You're going to love Liguria's Relais & Chateaux La Meridiana! The sweet scent of the sea, Mediterranean flowers, freshly baked focaccia and homemade cakes: the sweet scent of Villa Edera. 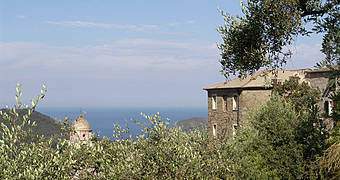 La Madonetta is a charming B&B located in a restored historic chapel in Levanto along the dramatic and picturesque Ligurian coast. Hotel Rossini al Teatro is a contemporary design hotel in the center of Imperia, only meters away from the beaches and sea of Liguria. 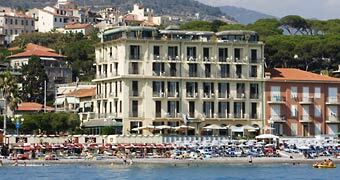 One of Bordigheras oldest seaside establishments, Hotel Parigi is the perfect choice for those wishing to experience a slice of life on the Italian Riviera. 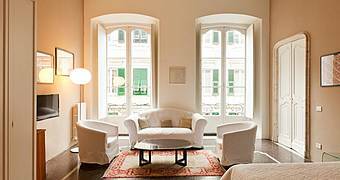 On the first floor of the 16th century Palazzo Cicala, Locanda di Palazzo Cicala is a surprisingly contemporary four star right in the heart of the historic center of Genoa. 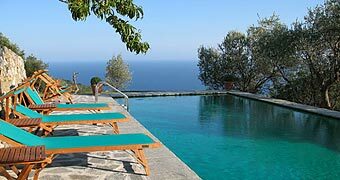 A luxury experience to savor on the breathtaking coast of Liguria! 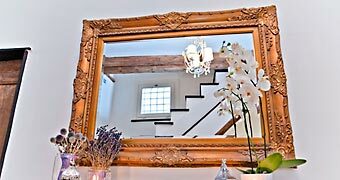 OmHom is a charming guest house in the heart of the medieval village of Trebiano Magra near La Spezia where guests are welcomed with a timeless sense of hospitality, surrounded by a luxury atmosphere and amenities.